Rio Salado College | RioNews: Maricopa Career Network for Job Seekers! Maricopa Career Network for Job Seekers! Students in search of part-time or full time employment opportunities can take advantage of the Maricopa Career Network at www.maricopa.jobing.com, a unique space to search for local openings. All of the site’s offerings are easy to use and free for students! Employers interested in one of Maricopa’s talented students can post positions. Students can go into the employment application process knowing their future employer is aware of their status as a student. Students can actively search for positions throughout the Valley or they can post their resume, which will allow employers to search for them! Students who know they want to locate employment but aren’t sure where to start can take advantage of MCN’s Job Search Tool Kit. This feature presents seven learning modules that teach students about the entire job search process from preparing to interviewing. Each module lasts thirty minutes or less and can be watched as a series or student can pick and choose the modules they need most. 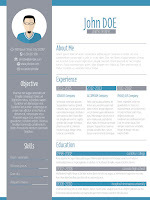 Jobing.com also provides a variety of sample resumes for students who are struggling with that critical piece of the puzzle. Rio students can access this feature to get started on their resumes and then receive a free, personalized review from a Rio Salado Counselor by emailing their resumes to resume.help@riosalado.edu. Students can also take advantage of Rio Salado classes CPD102AB Career Exploration and CPD102AC Creative Job Hunting to learn more about jobs, careers, networking, interviewing and much more!